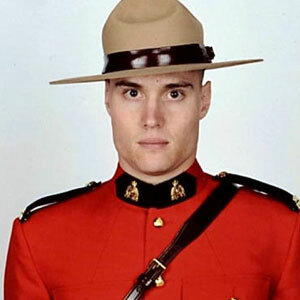 On Tuesday November 13 2012, RCMP Constable Adrian Oliver died in a motor vehicle incident while patrolling the streets of Surrey BC. Cst. Oliver, a 3 1/2 year veteran of the force, was heading back to the detachment headquarters near the end of his shift, just before 5:00 a.m., when his unmarked car crashed with a semi truck in the intersection of 148th Street and 64th Avenue. The 28-year-old was pulled from the tangled wreckage and rushed to hospital but died a short time later. The crash demolished the front end of the police car. The investigation continues. Oliver was a second generation RCMP officer, following his step-father, Chief Supt. Joe Oliver, when he began his training as a cadet in December 2008. His first tour of duty was in Surrey on June 1, 2009. His twin brother, Ben, is a serving RCMP officer with the Burnaby (BC) RCMP. Adrian had a common law wife who is also a serving member with the RCMP. Our condolences go out to Adrian’s family, friends, and colleagues.